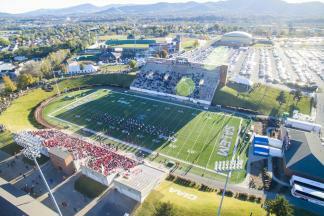 Virginia&apos;s Blue Ridge is a destination known for hosting first-class sporting events. 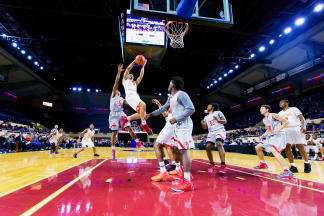 Take advantage of the resources and materials offered by Virginia’s Blue Ridge Sports to help drive interest in your sporting event. The following collateral is available for your use in the assistance of promoting your event in Virginia’s Blue Ridge and it includes great tools such as logos, destination images, website content, social media channels, videos, and messaging about the region. You and your attendees may not be familiar with Virginia’s Blue Ridge, but that’s no problem! The local experts are here to provide assistance and helpful information. 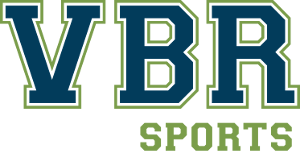 Click this Dropbox link for access to the VBR Sports Logo. The folder contains various versions and file formats of the VBR Sports logo, including EPS, JPG, PNG, and PDF files. 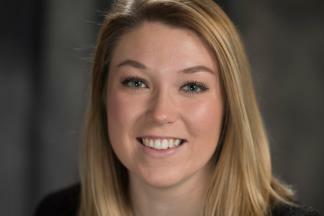 Contact Mary Cywinski if you have any questions. To help you promote your event in Virginia’s Blue Ridge, we have a Dropbox folder with images of the destination that are available for your download and usage. These photos showcase many different experiences from the region, including scenic mountain views, dining, things to do, and more. We have an active presence on multiple social media networks and these channels are a great way to keep up with upcoming events and other exciting things happening in the region. Join the social media fun by encouraging attendees to include our #BlueRidgeDay hashtag in social media posts. 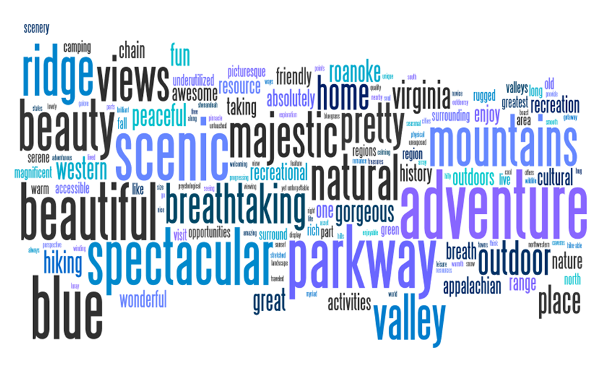 The following graphic features many of the words and descriptions we use to showcase what makes Virginia’s Blue Ridge a special place to visit. We encourage you to also use these words to offer an idea of what it will be like for your attendees to experience an event in Virginia’s Blue Ridge. "[event name] in Virginia&apos;s Blue Ridge"
"Virginia&apos;s Blue Ridge is everything you want in a mountain destination, plus a few surprises!" "Learn more about the unique experiences you can have in Virginia&apos;s Blue Ridge"
"Nestled in the heart of the mountains, Virginia&apos;s Blue Ridge offers a mix of exciting adventures with an authentic culture." "Virginia&apos;s Blue Ridge features breathtaking scenic beauty, thrilling outdoor adventures, mouth-watering cuisine, inspiring arts & culture, and luxurious, affordable accommodations."